I'm in New York and tomorrow is the Rock Steady 33rd Anniversary. But, also on Saturday is the 5 Pointz All City Black Book Show! Clash of the hip hop elements! Which one would you choose? The 5 Pointz event has Tuff City crew (CES, YES2, MED), TC-5 (Sye, Doves, Rozone, Totem) and Tats Cru (BG183, Bio) and numerous others. Lord Finesse is spinning tunes and Large Pro, OC and AG from D.I.T.C. on the mic! Oh, aaaand there's a 1-on-1 b-boy open circle. UPDATE: Read about "My hip hop summer" here - words, pictures and video. Tomorrow, photographer Estevan Oriol is at Mid-City Arts from (7:30pm-10pm) launching and signing his book entitled, "L.A. Woman." I knew a bit about Oriol, but this bio says it all! And check out Snoop Dogg's version of the Oprah book club..."Go git it man...I'm pushing and promoting this 'hood book right here..."
"In 1992 Estevan Oriol, the bouncer at one of Los Angeles' most notorious night clubs, became the manager of the rap group 'House of Pain'. Thanks to the old camera given to him by his father, Estevan began to document life on the road and he discovered a new passion for photography. 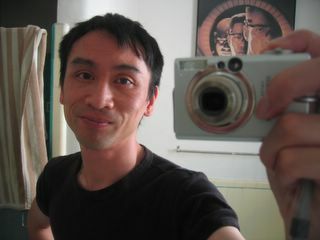 From this he was to become the most highly requested photographer in the Urban community. This is the first book of Estevan Oriol, the most important photographer of Latino culture and hip hop. 'LA Woman' is a book dedicated to cutting edge women of Los Angeles - silent ambassador of a new style that is not at all centred on WASP culture. Los Angeles based photographer, Oriol’s career has covered shooting photographs of his neighborhood homies, Hollywood celebrities, hip hop stars, and artists. His raw style has led him to photograph everyone from Forest Whittaker and Dennis Hopper to Eminem, Robert De Niro, Al Pacino and Mena Suvari. His vision has been throughout the nineties and still is today, the official eye through which the world will see the Streets of Los Angeles." The story of Californian rappers Silibil 'N Brains is a classic tale of two kids from a small, sleepy town that got discovered by A&R folks...except it's all fake! Double trouble? The story is so fantastic it received big media love. I even heard it on the 'proper' NPR, an American version of the BBC! But imagine this...Google and you'll not find any actual CD or vinyl releases from Silibil 'N Brains. Some conspiracy theorists are doubting the duo were even signed to a record deal! 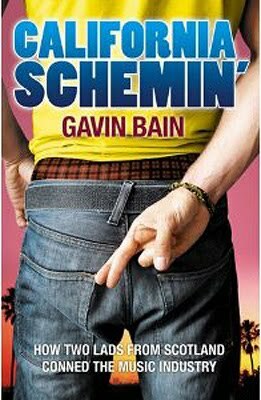 Could Gavin Bain be smart enough to write a book about two fake American rappers who never actually existed in the first place? Then sign a book deal with UK's Simon & Schuster, home to Pulitzer Prize winner Richard Rhodes...and Jackie Collins :). If that's true, I wonder how Irvine Welsh (of Trainspotting fame) is feeling since he's quoted on the book's cover and he signed on to write the film's screenplay?! NPR's "Weekend All Things Considered" hosted Guy Raz. Cut Chemist has be down with hip hop 'for yonks' as we say in the West Country of England :) Just check out the "This is The Life" video below. So in 2010, Cut Chemist is being original again. This time he's unshackled himself from the traditional DJ's two turntables. His latest Afrobeat mixtape was recorded live using only one turntable, a mixer, a loop pedal and 100% vinyl! Named in tribute to KRS ONE's hip hop classic, Cut Chemist's "Sound Of The Police" delves into his obscure Ethiopian, Colombian, Sudanese and Afro-Brazilian record collection. The two 20-minute live tracks are available on-demand until August 17th at KCRW (or below.) The CD gets released this week. "Originally, Sound Of The Police was only intended to be a one-time performance for Mochilla's “Timeless” concert series opening up for Ethiopia’s own Mulatu Astatke in 2009. He recorded the practice session and after the success of that performance he thought it deserved to be heard and seen by as many people as possible. I couldn't find the video for this performance, but here's something as tantalizing! 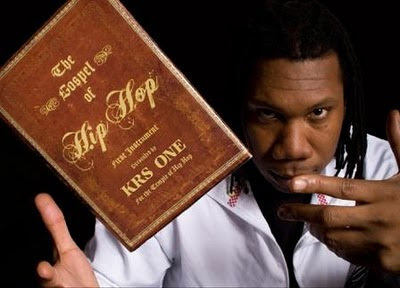 KRS ONE, the "Teacha, Teacha," finally comes to Hollywood to launch his 2009 book, The Gospel of Hip Hop. Don't go to Amoeba Hollywood expecting KRS to rock the spot. Nope, this is billed as "an intimate Conversation and Book Signing..." It takes place in Amoeba's Jazz Room on Wednesday, July 28 at 6pm. Bring your $25 and you'll get an advance "Gospel of Hip Hop" package that includes a book and the chance to get your book signed by KRS ONE. It's gonna sell out, kids! Click here for more info. "The Gospel of Hip Hop: First Instrument, the first book from the I Am Hip Hop imprint set for launch in the fall of 2009, is the philosophical masterwork of KRS ONE. Set in the format of a self-help holy book, this 800-plus-page opus is a spiritual manual for citizens of Hip Hop Kulture that combines classic philosophy with faith and practical knowledge, for a fascinating, in-depth exploration of Hip Hop as a life path. Known as "the Teacha," KRS ONE developed his unique outlook as a homeless teen in Brooklyn, New York, engaging his philosophy of self-creation to become one of the most respected emcees in Hip Hop history. As Hip Hop's true steward, KRS ONE painstakingly details the development of the culture and the ways in which we, as "Hiphoppas," can and should preserve its future." My Philosophy Even the most ardent hip hop fan may find this lengthy book a tough read methinks. Part hip hop history book, part self-help guide, "Gospel" promotes a future for "Hiphoppas" (a phrase coined by KRS) that incorporates "Health, Love, Awareness, and Wealth (H-LAW)." Here is a lengthy, but interesting blog on Amoeba's website. If you don't already browse the self-help and philosophy book shelves will you pick up KRS ONE's book? I'm not so sure, but if anyone is going to bring in a new audience it's KRS. He has one of the most uplifting and long-running stories in hip hop. From fame, as one part of BDP (Boogie Down Productions) and losing his murdered partner, D.J. Scott La Rock, to creating (and relaunching) the "Stop the Violence" movement which carried his message globally. His outspoken views on the world have also attracted Ivy League college lecture invites. BBC's Tim Westwood spoof...it's too real! Westwood...sometimes you don't deserve the hate that follow you, but when you give too much love for weak performances what do you expect? A spoof video diss, that's what! Drake...to quote a Specials song, "Too much, too young!" I'll still rock your mixtapes, but you aren't a performer...yet. Levi's Pioneer Sessions is the American brand's way of reaching out across the world on the back of lifestyle and entertainment. Music is an obvious vehicle, but since Levi's has years of tradition and heritage it chose to add a twist to its sponsored music campaign. It asked a dozen of its favorite pioneering artists from different genres to record a revival song that had special meaning to them. From the rap camp, Levi's chose Nas. That was a credible choice and not too controversial (only a divorce court case to speak of!) I wonder who else was considered. 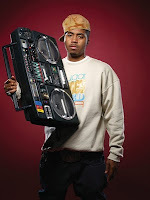 Nas's cover version of Slick Rick's "Hey Young World" brings much-love back to the old skool champ! The newly-recorded songs were offered as free downloads throughout May and June along with exclusive photos and video. "For more than 15 years, Nas has been a galvanizing force in rap. He’s a lyricist of the highest order and a provocateur to boot. His debut album Illmatic remains a hip-hop touchstone, a masterpiece full of short narratives that found Nas telling dark tales of urban desperation. Nasir Jones was 15 when rap legend Slick Rick released his debut album The Great Adventures of Slick Rick. The influence of Rick on Nas is inestimable. The original: Back to school with the Ricky D! All hip hop roads lead to Paris! This is the story of a graffiti art collector and how accepting the European art establishment is of "the new form." Sorry it's old news...March-April 2009. A search for "Alain-Dominique Gallizia" on Google gives you 225,000 results. 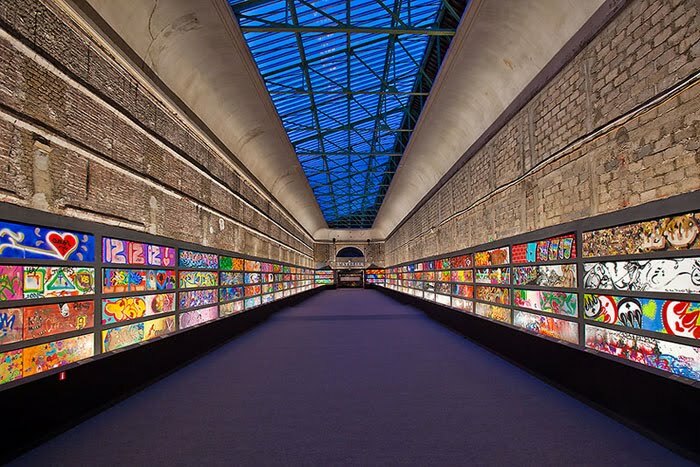 The shortened and translated version describes the French architect who, after he encountered a graffiti artist painting on the site of his next project, decided to build (what has to be) the world's most wide-reaching graffiti collections! Gallizia has 300 old school (Taki 183, USA) and new school (Reach, Korea) canvases that were collected over a period of three years. Each canvas follows a format and theme: a horizontal canvas (in two parts) measuring 60x180cm; the first part on the left is the artist's name and on the right side an open interpretation of the theme "Love". What's not so clear is how Gallizia managed to get the graffiti exhibited in the 700 square meter south-west gallery of Paris's Grand Palais! "The Gallizia collection speaks volumes about the energy on the street, where every nationality can express itself from the American pioneers and European stars to the up-and-coming generations in Korea (Reach), Iran (Isba) and Brazil (Nunca). Bubble letters, cloud letters, block letters, chromed signatures, restyled and freestyle cartoon characters… the works at the Grand Palais form a unique and multiple panorama of styles and colours." Grand Palais, France. American allies Seventh Letter writers, Rime and Revok, capture Gallizia’s studio in western Paris in this photo blog where some of the artists painted their canvases. 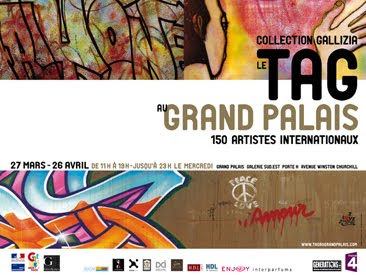 To read a Fulbright scholar's account of graffiti and the Grand Palais show go here. What happens when you try to mix popularity with commerciality? How can you get paid for doing what you love, without creating an ill-fitting alliance where the artist looks pimped out? However, only one video represents a credible and respectful partnership between artist and brand. The Stussy tribute film of J Dilla's musical rise is screening tomorrow night as part of the Brooklyn Hip Hop Festival. This film was released in Febuary 2010 as part of Stussy's celebration of hip hop producer and rapper James "J Dilla" Yancey. 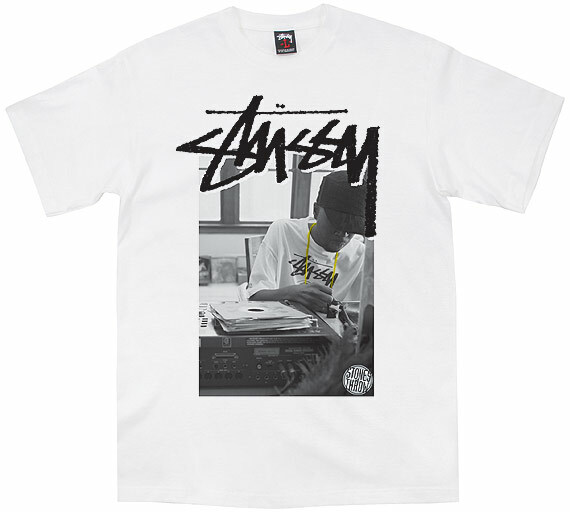 Stussy released a limited edition t-shirt produced in conjunction with Stones Throw and the Dilla Estate. 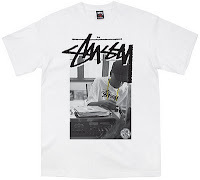 "Stussy and Stones Throw Records have partnered for Raph Rashid's classic pic of J Dilla on a limited-edition Stussy Tee. The photo was taken by Raph Rashid in Dilla's L.A. dining room-turned-studio, summer 2005, for his book Behind The Beat: Hip-Hop Home Studios*." * the book is out of print, but you can get a new copy on Amazon for....$2,499! For the sixth year, Brooklyn Bodega is opening its Brooklyn Hip Hop Festival. Headliners De La Soul will be rocking the spot. It's gonna be live! Check out last year's performance from Pharoahe Monch. Line-up Smiff-N-Wesson, Black Moon, Black Milk and Masta Ace. What's new? This year, Brooklyn Bodega has partnered with The J Dilla Foundation. On July 6th, the Brooklyn Hip Hop Festival will host the Bodega Education Initiative (BEI) at the Brooklyn Historical Society to celebrate the legacy of J Dilla. Panelists will include Hip-Hop legend Q-Tip, Maureen “Ma Dukes” Yancey, DJ Spinna and more. To celebrate the role the D.J. plays in hip hop, "Salute the D.J." is an evening dedicated to the best D.J. 's from NYC to LA. Check out New York's Bobbito and Spinna and Detroit's Waajeed diggin' in their crates (or their hard drives) to spin the best soul, hip hop, jazz and house. But top billin' has to be the four turntable extravaganza from New York's Rob Swift of The X-ecutioners and Los Angeles's DJ Rhettmatic of The Beat Junkies chopping up the beats. Check out a sample video below. For a full list of the events and ticket prices click here. 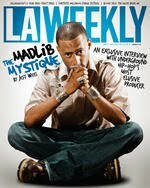 Madlib's first interview since 2006 !! "Interviews are my least favorite thing to do," says Madlib. So getting on the cover of LA Weekly must have been a major bummer!
" 'The equipment doesn't matter, it's the vibe you put into it. If music sounds good, music sounds good,' he says, so secure in his gifts that there is only objectivity. It's a brilliance that defies intellectualization: There is no formula, and attempting to divine causal relationships is futile..."
"Dilla was a John Coltrane–type dude. He was always on a higher level than me. He inspired my music to become looser and more soulful. If you look at our beat tapes, you can see when I went in his direction, and when he went in mine." Champion Sound There's no way to classify Madlib's sound. He's recorded under at least 12 nom de plumes and, by the sounds of it, he's got more to come. The rumor is that he's got beats on Kanye West's next album!
" 'I do it for myself and for like-minded people. Half the time I don't know why I make what I do.' He flashes a Loki-like smirk. 'I'd do this if no one was listening. I'm stuck. I've got the curse.' "
Read the full article here at LA Weekly.